Marlborough Hospital offers general surgery, joint replacements, minimally invasive surgery and more. We use the latest techniques to provide expert care, close to home. East Marlborough Primary Care is now open and offers easy access to great health care for your entire family! 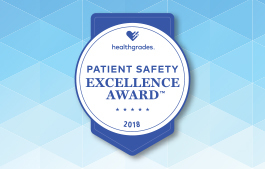 We are proud to be the recipient of the Healthgrades 2018 Patient Safety Excellence Award. Currently there are no classes or events being held. Check back again later to see if new events have been added.